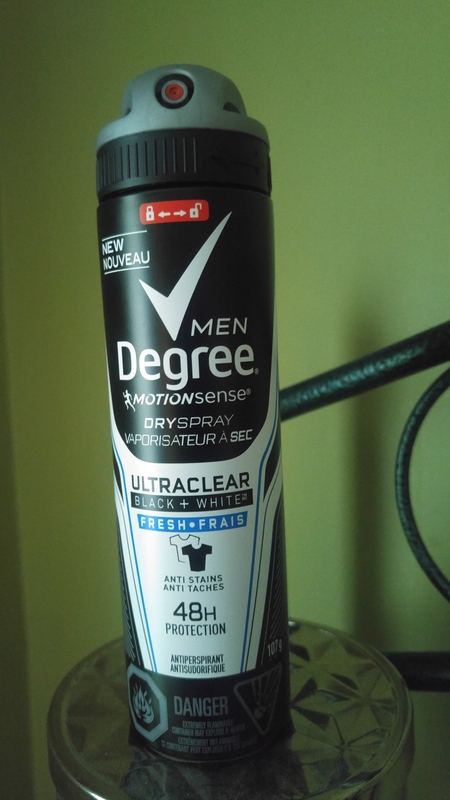 Degree Men Ultraclear Black + White Fresh Dry Spray smells great on my husband. He likes the scent too, and he is pretty picky about his colognes. 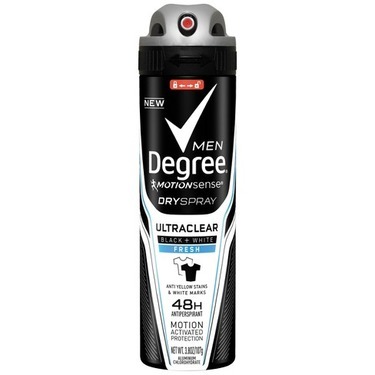 He said it worked well all day to keep him fresh and dry, and it never ruined his shirts like other products have done in the past. It is a big improvement to the old traditional brands that rub all over your clothes. 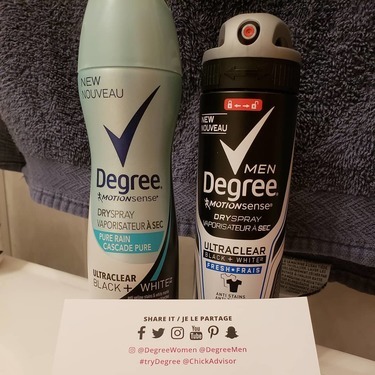 Degree is one of my favorite brand. It last all day and I love the smell too. No stain on my shirt and I dont have to use a lot. I will buy it again for sure! I am my Mom's son doing the review for this product. He loved this product. Not only was it easy to use it was light and clean and didn't damage his shirt like his other products do. Once this is empty a repurchase is a yes. 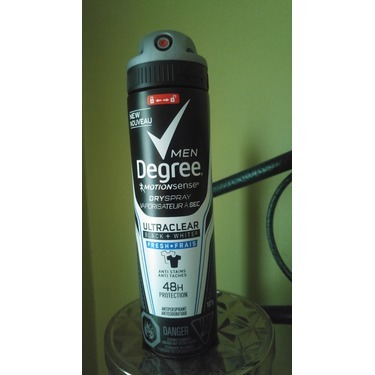 Very nice scent, not too strong, goes on dry, no marks or wet spots on application. I like that it kinda adapts to how active i get. Definetly will buy again. I was given a free can of this product and used it every single day for roughly 3 weeks. It helped to prevent pespiration and did not stain any of my shirts. 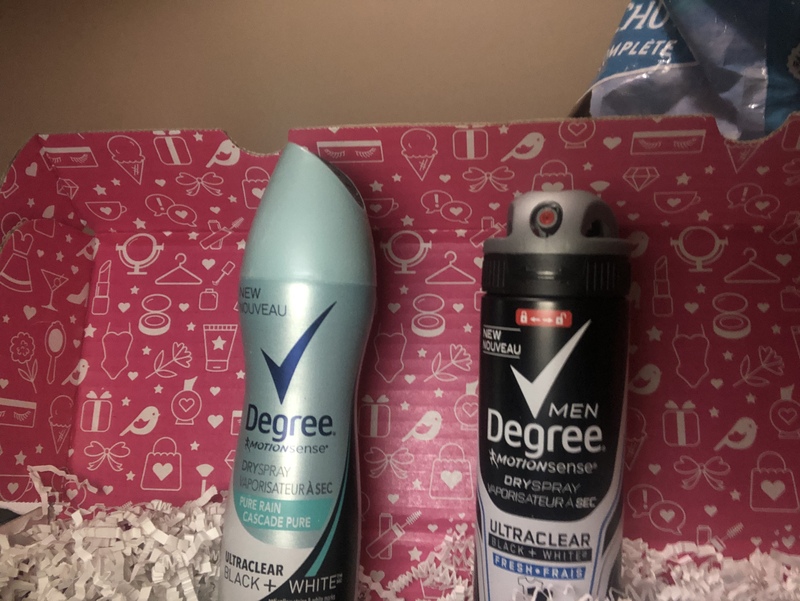 I really liked how it smelt, I am a big fan of the dry spray deodarant compared to the stick deodorant. 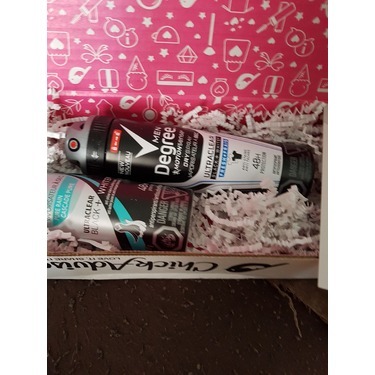 This is a product that I will use again I really liked the ease of use. 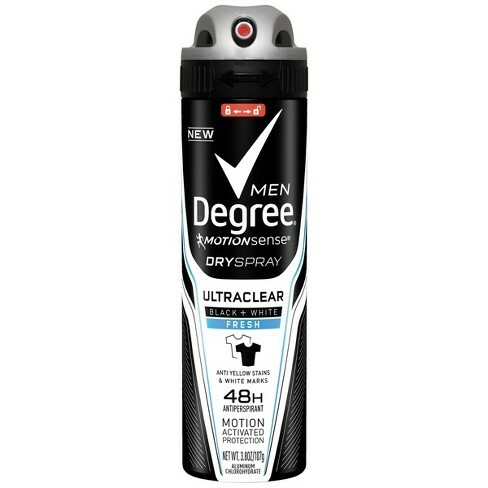 I use both men's and women's spray antiperspirant, and I find that Degree Men has a more forceful spray than the women's variety. 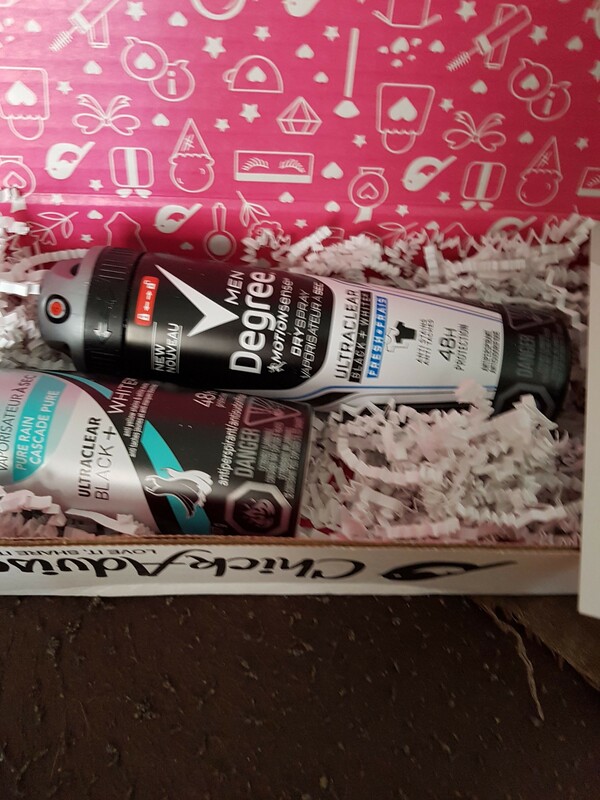 I'm not sure if they were going for a more "manly" strength to the spray or what. 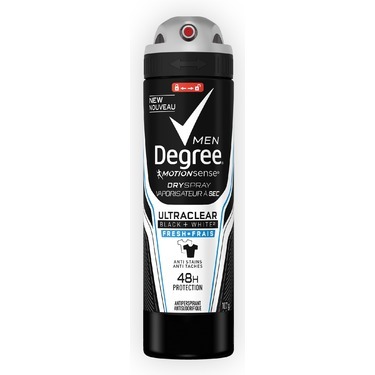 Besides that (which isn't a big deal, just thought I'd share), I like the product a lot. The scent isn't overwhelming like a lot of men's scents. It lasts all day. 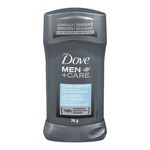 I do like the product itself; however, I must disclose that I do not support Unilever as a brand. While they have made a statement saying they do not test their products on animals, they do however use ingredients that may have been tested on animals, and they sell into Mainland China, who requires animal testing on many imported products. 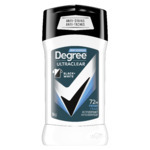 Degree is one of their brands that has not been certified by PETA or Leaping Bunny as Cruelty-Free. Until Unilever chooses to stop supporting the use of ingredients from countries that test on animals, I cannot recommend this product. My husband has been using this for about 2 weeks now. It smells better than his cologne. He tends to discolour his clothes due to sweat, but this has really helped keep him dry, and it definitely helps to keep his shirts clean. 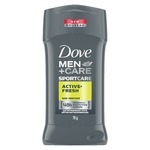 Highly recommended, especially for sporty guys.